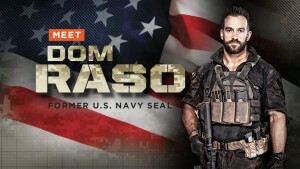 Former U.S. Navy Seal officer Dom Raso this week slammed Hillary Clinton and commenced his campaign to educate Americans that she really is a dishonest and fraudulent politician. During his career as a special forces hero, Raso faced some of the world’s worst bad guys in his 12-year career as a Navy SEAL and he’s killed more than his share of enemies. Several law enforcement counterterrorism operatives have told the Conservative Base’s Jim Kouri that Raso knows what he’s talking about when it comes to protecting lives and property from terrorists, rogue military forces, drug cartel members and other dangerous human beings. Dom Raso points out that a videotape proves Mrs. Clinton was greeted warmly with handshakes that day. She tried to blame her lie on a mistake, calling it a “misstatement.” “In my 12-year military career, I never heard an excuse like that from my leadership,” Raso told reporters. “It’s impossible to even imagine that happening.Only someone completely arrogant, ignorant and disrespectful of what happens in war could say something like that,” he concluded. “I’ve seen sniper fire and there’s nothing casual, nothing small and nothing ordinary about fighting for your life on the battlefield,” he added. Navy SEAL Dom Raso believes Americans must become aware that a President Hillary Clinton would be akin to a national suicide pact. Hillary Clinton, Barack Obama and the other fabricators as the nation’s heroes. But in 2013, these brave men and women were celebrated with a full day dedication at South Dakota’s rock concert playground known as the Buffalo Chip during the annual Freedom Celebration. The military tribute day included a poignant presentation to the families of fallen Navy SEALs, Tyrone Woods and Glen Doherty. The two showed heroic patriotism and courage in Benghazi, Libya, sacrificing their lives while saving the lives of many others. Members of their family were present on the Buffalo Chip’s main stage to accept the honors on Thursday, Aug. 8. I am former U.S. Secret Service and even the Agents on HilRod’s detail were shocked to hear that statement they were “under fire”. That was news to them. That statement caused some serious shrugs and frowns as it was obviously NOT true. This information was eventually “leaked” to other sources and eventually to the Press, but the news media has again ignored this Major “foul up” and swept it under the rug as another “cover up” campaign which would discredit anybody. In Law Enforcement terms, that is clearly a case of Falsifying information and punishable in Federal Prison for Lying. The news media will call it “embellishing”, but it’s still lying no matter what colorful acronym you give it. HilRod has a History of lying even when she was fired from her assistant prosecutor job on the Watergate investigation. Later a cover story of some sort was that the former First Lady had a brain tumor or other malady. 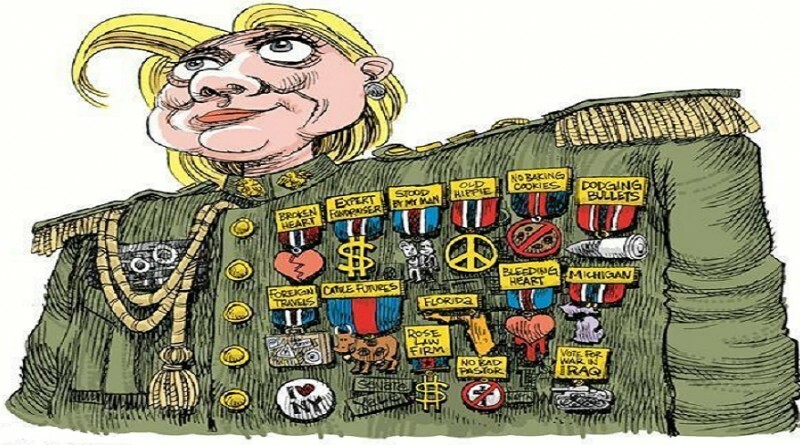 Do WE really want or need a person with such medical problems that she might decide to launch nuclear missiles or cause other Americans to die needlessly like at Benghazi?